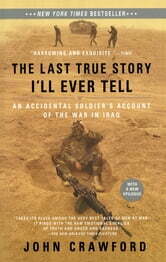 In the tradition of Michael Herr's Dispatches, a National Guardsman's account of the war in Iraq. John Crawford joined the Florida National Guard to pay for his college tuition, willingly exchanging one weekend a month and two weeks a year for a free education. But in Autumn 2002, one semester short of graduating and newly married—in fact, on his honeymoon—he was called to active duty and sent to the front lines in Iraq. Crawford and his unit spent months upon months patrolling the streets of Baghdad, occupying a hostile city. During the breaks between patrols, Crawford began recording what he and his fellow soldiers witnessed and experienced. 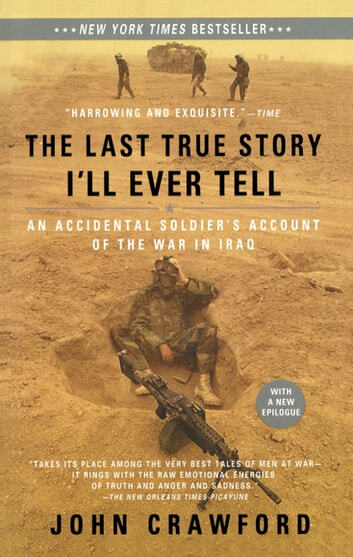 Those stories became The Last True Story I'll Ever Tell—a haunting and powerful, compellingly honest book that imparts the on-the-ground reality of waging the war in Iraq, and marks as the introduction of a mighty literary voice forged in the most intense of circumstances.